Knuckle Junkies | St. Charles MMA, doing it for the dogs. St. Charles MMA, doing it for the dogs. While today we celebrate our two-legged loved ones, Mike Rogers is spending the whole month dedicated to our four-legged friends. Rogers, the head coach and owner of St. Charles MMA, is taking donations all month for Phoenix Pack (formerly known as Mutts n Stuff). "We are trying to get dog food or any other kind of donations to help them out," Rogers said. "Leashes, it doesn't matter." 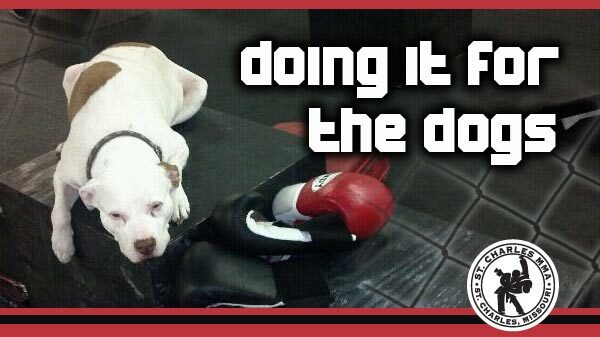 Anyone who has spent time around St. Charles MMA is likely stumble upon Manny, Rogers' American pit bull terrier. Rogers has gotten two of his dogs from the organization, and has had nine-year-old Manny around for eight years. Phoenix Pack is a non-profit, pit bull rescue organization located in the St. Louis area. Though it helps all breeds of dogs and cats, its primary mission is to identify temperamentally sound pit bulls in local shelters, relocate them to loving foster homes where they receive training, and ultimately place them in responsible forever homes. They also work to rebuild and preserve a positive public image for the American pit bull terrier and pit bull mixes by providing accurate educational materials and information. Rogers, who trains some of toughest fighters in all of the Midwest, has always had a soft spot for canines. "I feel bad for dogs," he said. "They're defenseless. They can't take care of themselves. They rely on people to take care of them and people are pretty (horrible) about taking care of them." St. Charles MMA will be taking toys, blankets, beds, treats, food, and money donations through the month on February. "These are good people taking care of great animals," Rogers said. "Hopefully people will start bringing stuff up. We have just a few bags and a few toys so far. They need everything." 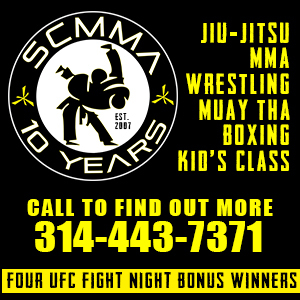 St. Charles MMA is located at 4029 S. Cloverleaf, St. Peters, MO.